When purchasing digital signage, it is important to know that the hardware that you are using is 100% compatible with the software that is installed. One Digital Signage is Europe’s Leading Manufacturer of ‘Elonex’ Android and Windows Powered Digital Signage Displays with an exciting range of 32” to 55” Freestanding Kiosks & Retail Pegboards, and Printer Kiosks , 7” to 84” Advertising Displays & Multi-Touch Screens & 32” to 55” Multi-Touch Kiosks, Commercial Android Retail Tablets, Video Brochures & Magazines, and Tiling Video Wall Displays. Shuttle Inc, founded in Taiwan in 1983, is specialised in development and production of innovative mini PCs. Established in 2008, MINIX has since emerged as a global leader in the development of next generation computers, setting new precedents in portable PC and media hub technology. We pursue the latest technological innovations to offer revolutionary devices capable of fulfilling all your computing and media playback demands. MINIX products aim to redefine the way users interact and control their media content, putting the power of computing in their hands. The latest X88i model designed for commercial applications is an idea product for 24/7 deployments. IAdea offers the industry’s most complete family of digital signage media players and signboards. Founded in 2000, IAdea is dedicated to the development of cutting-edge commercial-grade digital signage players and integrated displays. IAdea’s products support the W3C SMIL open platform and the HTML5 content standard, allowing system integrators to quickly customize and tailor to individual project requirements. IAdea’s device technologies power many large-scale digital signage projects, offering proven robustness and lowered total cost of ownership (TCO). 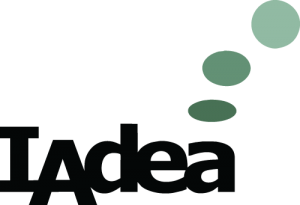 With offices worldwide, IAdea provides uninterrupted product service throughout the globe.Designed for 24/7 operation Iadea devices are robust devices and are solid state in design. Pre-loaded industrial-focused Anbedded™ OS, which is derived from the Google Android software but added layers of protection to ensure the highest reliability. Founded in 2005, Allsee Technologies has quickly developed into a market leading Digital Advertising Display Manufacturer with an impressive Blue Chip client portfolio. To meet the demand of our global distribution network of resellers, our factory in China currently produces in the region of 2,000 displays every day, ranging from digital advertising displays, freestanding digital posters and touch screens to seamless video wall displays. We have offices in the UK, China, the US and Africa. Our success has been driven by our focus on delivering supreme quality, market leading customer service and unparalleled industry expertise. We are the only manufacturer committed to simplifying the emerging technology of Digital Signage for our customers.